With summer ending quickly, fall just around the corner and along with it the biggest game releases of the year, gamers are looking to upgrade or build an entirely new Gaming PC that can easily run their games without a hiccup. This month, we’ve put together a Mid-Range Gaming PC for $1,200 which will include everything you need to play the latest and greatest games coming out this season. Let’s take a look at how we did! For gaming rigs, CPU and GPUs will be the two most important components, so we’ve dedicated a large portion of our budget to the Intel Core i5-6600K processor which is one of the best CPUs for gamers on the market today. 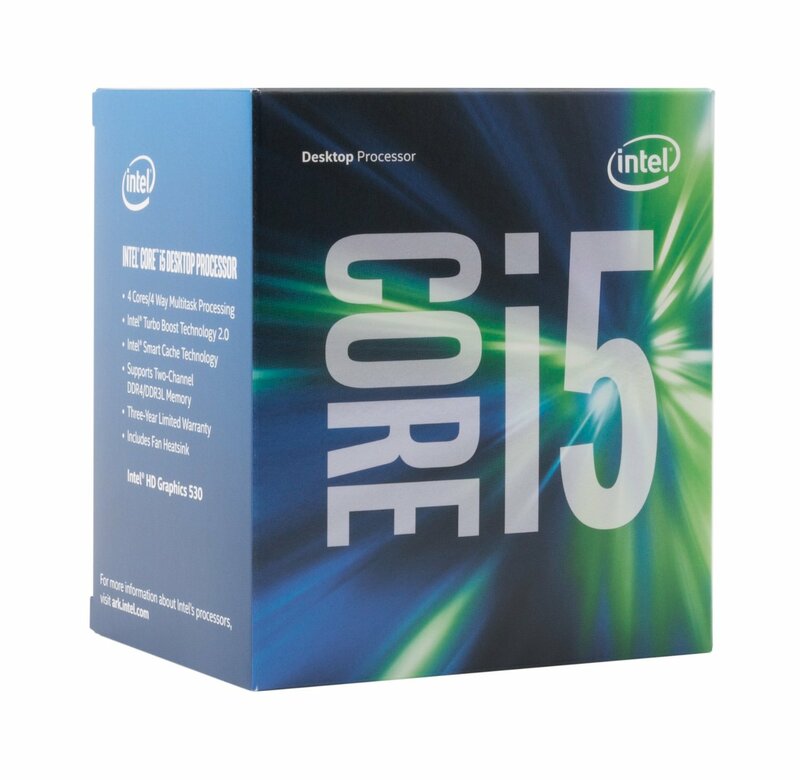 The Intel Core i5-6600K is a quad core processor based on Intel’s 14nm Skylake architecture which improves performance ~10-20% from previous generation Hawell processors. Out of the box, the CPU is capable of clock speeds up to 3.5GHz with a turbo clock of 3.9GHz. The K SKU as we have here also contains an unlocked multiplier for easy overclocking. Speaking of overclocking, I also included one of Phanteks dual tower coolers which will help greatly lower CPU temperatures during operation. 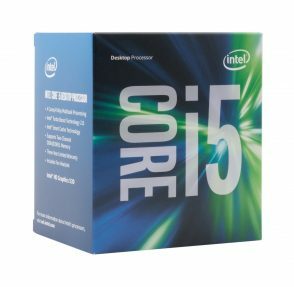 This is important as the Intel Core i5-6600K’s unlocked multiplier will allow you to easily reach 4.2GHz or more by simply adjusting the multipliers or utilizing auto-overclocking features of the board. Performance improvements of ~5-15% can easily be achieved in this manner. Those who need a little more performance can also opt for the Intel Core i7-6700K which is approximately~$70 more, but will provide up to ~30% better performance for highly multi-threaded applications. While the Intel Core i5-6600K is the choice if you’re planning to simply play games, the Intel Core i7-6700K would be an ideal upgrade for those looking to do streaming, recording, or editing gameplay footage. It’ll also be slightly more futureproof as modern games are starting to better utilize multi-threading. Our goal was to put together a solid, reliable gaming PC build and since the motherboard is the platform that supports every other component, we wanted was a motherboard that had all the right features and a bit more for future upgradeability, but we didn’t want to go out of our way for features that would break the budget. For those reasons, we chose the MSI Z170-A SLI Plus. Being a Z170 motherboard, it supports LGA 1151 processors such as the Intel Core i5-6600K, 4 DIMM slots which supports up to 64GB memory, and plenty of additional expansion capabilities as well. 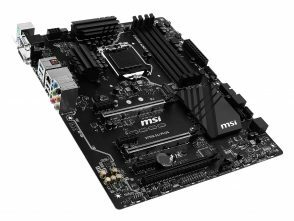 The MSI Z170-A Plus also features six USB 3.0 ports, USB 3.1 Type-C, six SATA 6Gb/s ports, integrated video via the CPU, onboard 7.1 channel Realtek ALC1150 audio, and MSI’s OC Genie for easy overclocking. Intel’s latest Skylake platform now supports DDR4 memory which will allow greater performance, density, and improved error correction. 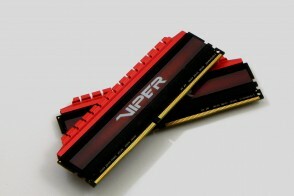 For our build this month we decided to go with Patriot’s Viper 4 16GB DDR4 2,800MHz kit which is a memory kit we recently reviewed. In our testing, we found the kit to provide excellent performance, great compatibility and is priced very reasonably. As DDR4 has come down in price quite a bit since its introduction last year, we opted for the 16GB capacity which should be more than enough for gaming and will even be enough for those looking to do streaming, recording, etc. Furthermore since it’s a 2x8GB kit, it will also allow for additional expansion to 32GB down the line should you find yourself in need of additional memory. Over the years, Phanteks has become known for its high quality products and competitive prices. Several years ago, Phanteks surprised the world by coming into the PC scene with some of the best cooler designs in the world and have since applied their designs to the PC case market as well. We’ve used Phanteks cases in many of our testing and productions setups here and recommended them personally thanks to their solid and easy to build designs. 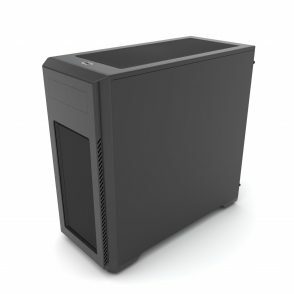 This month we’re featuring the Enthoo Pro M from Phanteks which is a mid-range case with tons of features under $90. 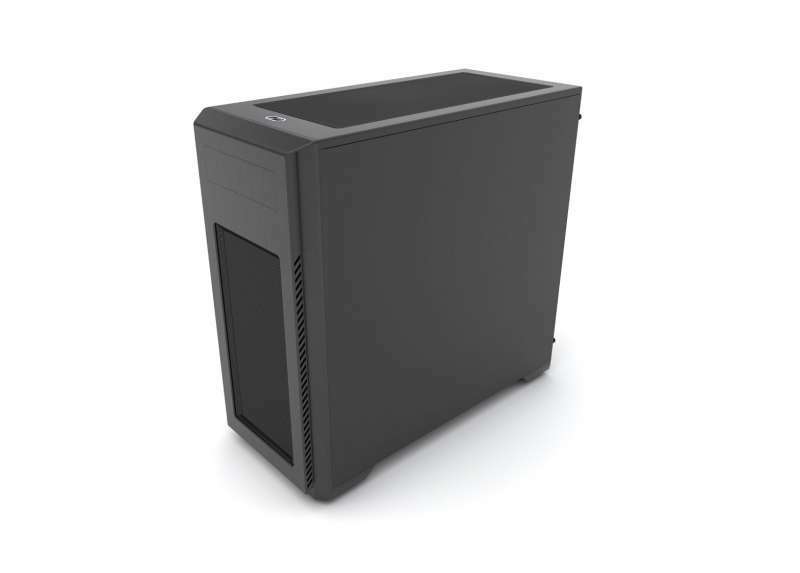 We chose this case because it has more than enough room to house our components, it has very good cooling and expandability, and allows up to 7 fans. As with all Phanteks cases the Enthoo Pro M comes with a very handy clamshell case with all of the screws separated for ease of use when building. The solid steel frame is very sturdy and is the little brother of one of my favorite cases, the Phanteks Enthoo Luxe. Featuring Nvidia’s latest Pascal architecture built on TSMC’s latest 16nm FinFET process, the Nvidia GeForce GTX 1060 3GB features 1152 CUDA cores running clock speeds of 1506MHz with boost clocks up to 1708MHz. Onboard is also 3GB of VRAM running on a 192-bit interface providing up to 8Gbps of memory throughput. For our build, we decided to go with MSI Gaming’s custom GeForce GTX 1060 3GB, the MSI GeForce GTX 1060 Gaming X 3G, which features MSI’s renowned Twin Frozr IV cooler and a modest factory overclock out of the box. This makes it one of the best custom GeForce GTX 1060 3GB variations on the market. When we were considering graphics cards, we also considered an AMD Radeon RX 480 based graphics card alongside the Nvidia GeForce GTX 1060. However, with supply issues plaguing the Radeon RX480, we decided to recommend the similarly performing and similarly priced GeForce GTX 1060 3GB. 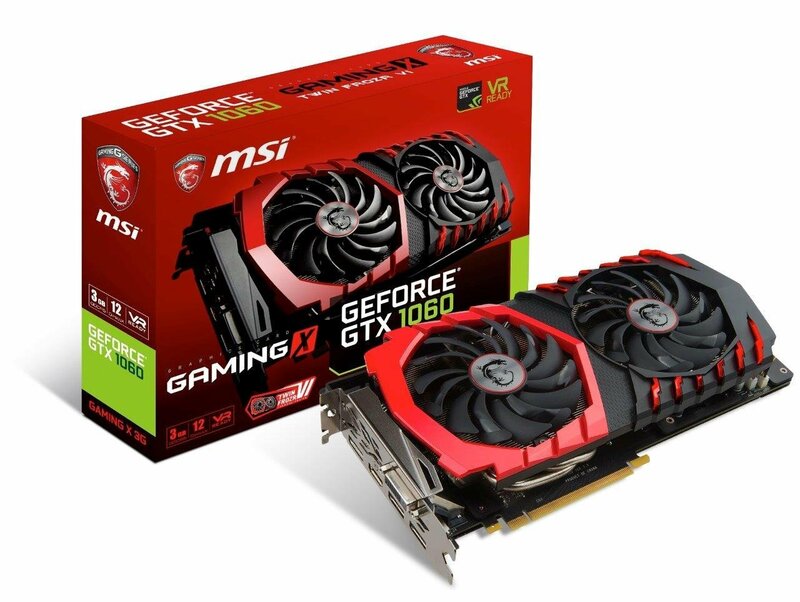 Those looking for a even better graphics solution can also step up to the MSI GeForce GTX 1070 Gaming X 8GB which will provide significantly better performance although at a significantly higher cost. 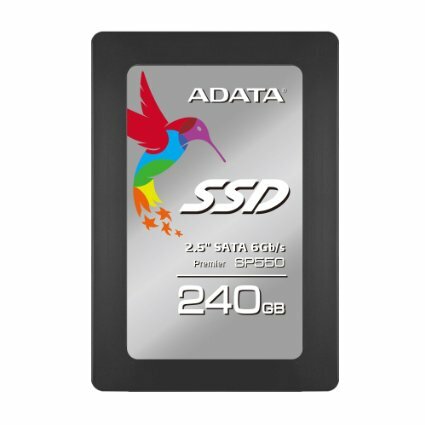 The ADATA SP550 is a solid no-frills SSD which delivers performance of about what you’d expect for an SSD in its price range. If gaming is your primary focus, as is with this build, then really just about any SSD with decent capacity and good reliability is going to do the job. At right around $0.20/GB, it is also one of the best priced SSDs available, which is always a bonus. We decided to go with the ADATA SP 550 240GB which should provide plenty of space for most entry level photo or video editing applications. Those who need additional capacity can either upgrade to a higher capacity version of the Adata SP550, or for those on a budget I’d highly recommend the Seagate Barracuda line of hard drives which offer capacities of up to 4TB and complement the ADATA SP550 very well. Some readers have expressed interest in monitor, speaker, mice and keyboard suggestions, so we’ve also started including some recommendations for these items as well. I won’t be explaining the choices as these optional components are quite dependent on the purpose of PC (For example, someone serious about audio may end up going with something like an Audioengine 5+ paired with an ASUS Xonar Essence STX), but here are some suggestions that are a good fit for this build based on the system’s budget. Overall this is a solid build that came in under the $1,200 budget, which is something we’re quite pleased about. This provides a little bit of budget wiggle room for a more customized build depending on your needs or a game title… or two. Regardless, this system as is will be able to play pretty much every game you throw at it at 1080P, and should be decent for entry level workstation stuff like photo editing. Those looking to do more on the video side such as game streaming or video editing should definitely upgrade to something a bit more powerful. We’ll be putting together a gaming workstation build down the line, so be sure to watch out for that. Remember, if you have any questions, need some help, or need to fit the build into your budget please feel free to post all questions in the forums! The community will be more than happy to help you out. If this build doesn’t fit your needs, be sure to drop by our Computer Builds section to find more computer builds. If you spot any issues with our build such as GPU/case incompatibilities, cooler/case incompatibilities, etc. please let us know as well so I may update the article. Also, be sure to join us on Facebook, Twitter, Google Plus, or YouTube to be updated on the latest news, reviews, tutorials, custom computer builds, and more! Alex is a long time PC Hardware Enthusiast, when not testing, or troubleshooting he spends way too much time playing the latest RTS and FPS games.